The USC School of Cinematic Arts emphasizes two integral components of the moving image: story and technology. When the two seamlessly blend together, the result can be a masterpiece. For Herb Farmer, the mission of ensuring and maintaining the technological instruments of film, from its early beginnings to the modern day state-of-the-art, has created a true legacy through an extensive collection that showcases the history of technology in making movie magic. Among the many invaluable items within the collection, some of the rarest pieces include an original Lumiere Cinematographe from the 1890's, the 3rd camera Bell and Howell made in 1906, a rare experimental 3mm outfit designed in 1960 for NASA and the mixing board used to record The Jazz Singer (1927), the first film to feature synchronized dialogue. There are items covering everything from pre-cinema devices of the 1800's, like Praxinoscopes and Zoetropes, to experimental advances, such as FOX's 55mm widescreen camera or 3 strip Technicolor equipment. Farmer began classes at USC in 1938, while also finding time to produce the Trojan Newsreel, shoot football coaching films and surgical motion pictures for the university and play sousaphone in the marching band. A few months shy of his graduation in 1942, Farmer took over teaching a motion picture history class from a professor who had been called to active duty in World War II. Farmer also served in the war, returned to USC after the war in 1946 and began teaching classes in basic film technology and distribution. He received his master’s degree in Cinema in 1954. He was involved with the University until his passing in November 2010. 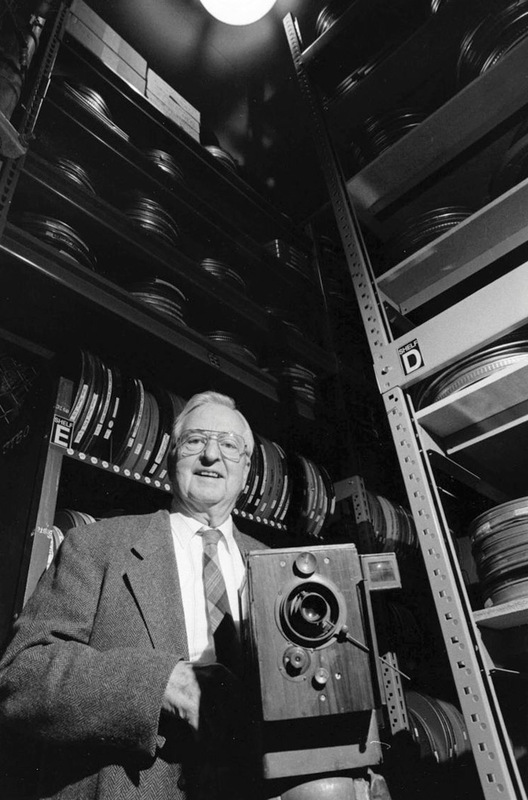 At the time of his death, Farmer was still dedicated to overseeing his extensive archive of historical films and equipment, which he had gifted to the university. These materials are part of a rotating collection that is regularly put on display.